Listen to your favorite ShoutCast streaming stations on your Palm Pre or Palm Pixi. Browse by Genre or use the search function. 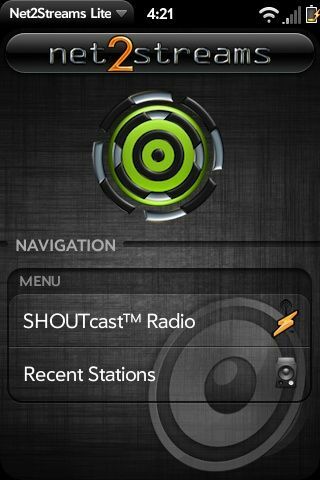 SHOUTcast Radio is the home of free Internet Radio. Tune-in to thousands of free online radio stations from DJs and broadcasters around the world and now we have local radio stations! Version 1.0.0 > Added Dashboard Controls > Current Song and Last Song.